The exhibition used maps, charts, photographs, art work and text to tell the dramatic story of the development of religious groups in the Helensburgh and Lomond area from the earliest times. It described the people and their religious conflicts over a period of more than fourteen hundred years. As part of the Millennium celebrations a short version of the exhibition was displayed in the Congregational Church — which is now the United Reformed Church — in West Princes Street, Helensburgh. The Religious Heritage of this part of Scotland is a story of violence and dissension, friction between Church and State, strong personalities, rigidity and prejudice, breaking away of groups, re-uniting of groups and, despite all, much kindness and many good works done by men and women of strong faith. The pre-Christian history of the area is obscure and although there are Iron and Stone age remains in the Rosneath Peninsula and elsewhere, nothing is known about religious groups associated with them. The burial site, now almost obliterated, at Portkil, Kilcreggan, probably dates from 500 B.C. and there was a tradition that it was sacred ground, people bringing their dead there for burial well into the Christian period. In the 6th century A.D. or possibly later St Modan and his companions preached and taught in the “Isle of Rosneath”, founding Christian Communities before travelling on. Around this time the monk St Kessog, also known as St MacKessog, was active on Loch Lomondside and he is said to have died a martyr’s death at Bandry, south of Luss in 520 or 560 A.D.
St Modan came back to Rosneath to die and a simple chapel was built “to house his most sacred relics”. An early church was also built at Kilcreggan, called the ‘Church of the Rock’, but no signs remain. In the 12th century a Christian monastery was established in Paisley and from there monks travelled to the Rosneath Peninsula with the authority to appropriate the Church of Rosneath, receive all the revenue and employ a curate. The Parish system dates back to Roman days and was adopted by the early Christian Church. Rosneath and Cardross Parishes shared between them a huge area which became unmanageable. Rosneath Parish was under the jurisdiction of Paisley Abbey and Cardross Parish was a Prebend of Glasgow Cathedral. In 1648, after much argument, the Parish of Row (now Rhu) was created, taking North Garelochside from Rosneath and the lands of Camis Eskan to Loch Long and Glen Fruin from Cardross. The Reformation arrived in Scotland in 1560 and the Church was ruled according to the Calvinistic principles of John Knox. Congregations were organised, each having a qualified minister, with representative elders of the people, deacons to administer finance, and a school. Sadly, much of the cultural heritage was lost at that time. Organs were smashed, beauty destroyed and bleak barn-like churches built. There was strife and fighting in the post-Reformation period when the General Assembly defied royal authority, refusing to accept episcopacy. A tale of rebellion and broken pledges unfolded until 1688 with the abdication of James V11 and the arrival of William of Orange. The Church settled down for a while and played a major part in the community, teaching the young and speaking authoritatively on moral issues. In 1843, however, following a period of unrest, 451 ministers left the Church of Scotland and throughout the area new congregations were formed and new churches built. This was known as the Disruption. In the Peninsula, where there had been one church, now there were seven. In Row Parish, Shandon Free Church was built and, later, a Free Church was built in Garelochhead. In Helensburgh the Kirk in the Square congregation left the Established Church, and the church became the Free Church — later to become the West Free Church. A church was built on the seafront for those staying with the Establishment and this was later joined by the West Church, known subsequently as St Bride’s Church. Park Church was built to accommodate the Free Kirk overflow. Mrs Henry Bell, wife of the town’s first Provost, steamship pioneer Henry Bell, and a group of seceders built St Columba United Presbyterian Church. In Cardross a Free Kirk was also built. In 1900 the Free and United Presbyterian Churches united to form the United Free Church and, in 1929, the United Free Churches of the entire area joined with the Church of Scotland. The only Parish left untouched by the Disruption was that of Luss. The Tabernacle, later the Congregational Church, Helensburgh’s first place of worship, opened in 1803. 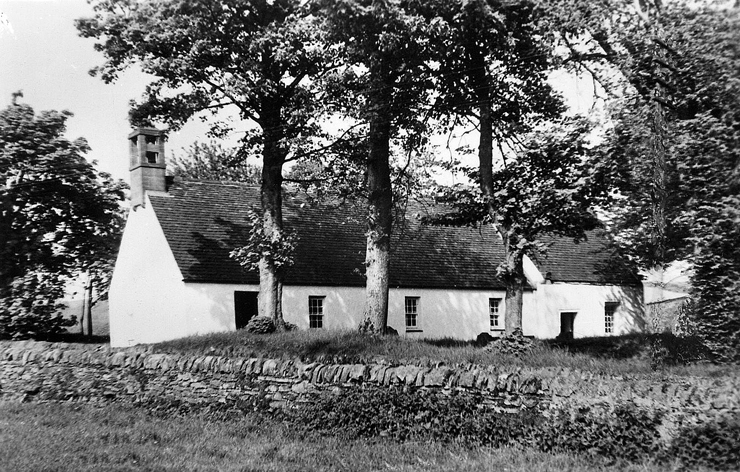 The Roman Catholic Church built St Joseph’s Church in 1880 and St Gilda’s Church in Rosneath in 1967. St Mahew’s Chapel in Cardross dates from the 15th Century and was restored and opened for worship in 1955. Helensburgh Baptist Church was built in 1886 and the Christian Scientists built a church in 1959. St Michael’s and All Angels, the Scottish Episcopal Church, was built in 1843. 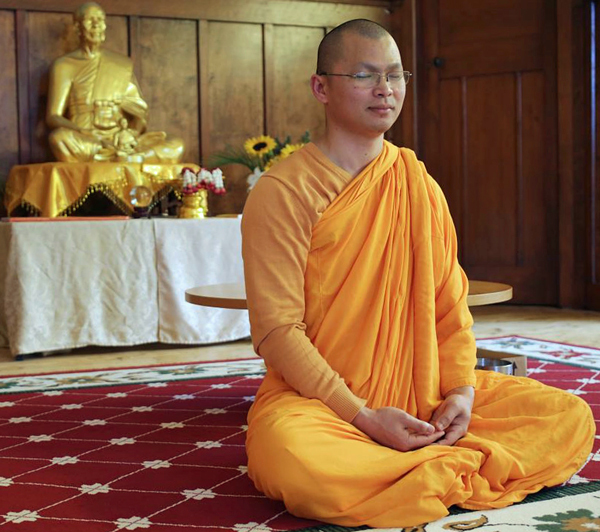 A group of Buddhists lived in the town, and, in the most recent local religious development, in 2016 they took over Park Church in Charlotte Street as the Buddhist Meditation Centre of Scotland, where they are attracting people from all over the country to meditate. The centre is the first Scottish outpost of the Dhammakaya tradition of Thai Buddhism — and only the fourth in the UK, following in the footsteps of temples in London, Manchester and Newcastle. After centuries of local religious following, these are clearly changed days — and there is much for all to meditate about as they ponder the way forward in a climate of dramatic falls in church attendances.